It is a common saying that a face is the index of mind. By reading face we can judge that what type of thoughts are running in one's mind and accordingly we provide the solutions. 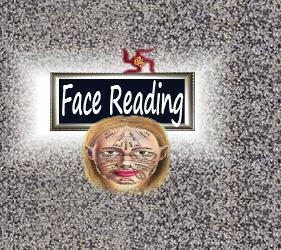 Face reading is a very important portion of Samudrik Shastra. In Samudrik Shastra whole body symptoms are traced but it is not comfortable as well as practicle too, for all. So far as face reading is concerned it is highly result oriented process and easy also for clients (not for me). In the act of face reading we ascertain the level of positive and negative force in your mind and as a remedy we make proper combination of forces (both negative and positive) in your mind through healing process. Some people may say does negative force can make benefit to some one. Yes negative force is as much as important, as much as positive. If your mind is totally lack of negative force it will stop working. It is the combination of both forces which keep it active. Only thing is that we have to balance it properly so as to gain proper and better results in our life from both point of view i.e. materialistic as well as spritual. WE PROVIDE DISTANCE FACE READING FACILITY ON YOUR SNAP. In case you are not in the position to come with us, send us your snap.